Helmer Haagenson passed away peacefully on Saturday, January 26th in Spokane Washington at the magnificent age of 94. He was surrounded by family and his favorite nurses at the Spokane Veterans home, where he had lived for the past year. Helmer, a loving, happy-go-lucky man who always had a smile and enjoyed going to the casino, was a proud veteran of the greatest generation that ever lived. Helmer was a beloved son, brother, husband, father, grandfather and great grandfather. He is survived by, his son Robert Haagenson and wife Paula; daughter, Ann and husband John; 5 grandchildren, Jeri Haagenson, Richard (Kathleen) Haagenson & Cori Poppish; Pete Flatt (Rachelle) and Brian Flatt (Genevieve). He also leaves 4 great-grandchildren; Owen, Claire, Cecilia and Emma Flatt. Born on December 10, 1924 in Clifford, North Dakota to Helmer Haagenson Sr. & Josephine (Jacobson), his early life on his families ND homestead was difficult at times. He managed to thrive amidst disparity. At the age of 10 Helmer lost his mother, Josephine from complications due to pneumonia. He often told stories to his grandchildren, and anyone who would listen, about his youth. His tales were of 60 ft snow drifts and temperatures reaching 42 below, on the Dakota prairie. Being quite the burden to overcome, and a testament to his fierce spirit of perseverance, Grandpa overcame this adversity and all that followed throughout his life. He and his older brother Sidney moved around after their mother’s death. They were raised by various family members as their father worked to support the young family. While in his early 20’s, Helmer then lost his father in an oil stove explosion at an automotive shop in Spokane, where he was employed. Although Helmer was able to pull his father from the blaze, sadly he passed shortly after. Happier stories from Helmer’s youth included his love of playing basket ball in school and a ‘Granny Shot” that he perfected. He had an impeccable memory of events and he wrote many journals as both a young adult, and throughout his life. He also traced his family tree back to the 1600’s. His legacy has provided us with a wealth of knowledge about the great lineage that we hail from. Helmer joined the Army Air Corps, in 1943. He met his beloved wife, Nancy Dougherty in Spokane. He and Nancy were avid roller skaters. Nancy placed 2nd in the Washington State Women’s Freestyle skating competition. They were the talk of the town in 1948, when they were married on roller skates at the Dishman Roller Rink. Helmer retired as a Master Sergeant from the Air Force in 1963 and lived for a short time in Oregon. The family moved to Spokane in 1966. Helmer worked for the Old National Bank, and then owned and operated Spokane Lithographing until his retirement in 1981. He was a member of the DAV and VFW. He was also a Rotarian. After Nancy passed away in 1996, he moved in with his daughter and family, where he lived for over 20 years. If you knew Helmer, you knew that next to the love he had for his family, was the love he had for food. Of course that didn’t include leftovers, but if you made something from scratch, then he was all in. He loved sweets and always had a stash of candies or chocolates. He was a gentle, soft spoken man who never swore, never really drank or lost his temper. He was always happy and had a positive outlook. 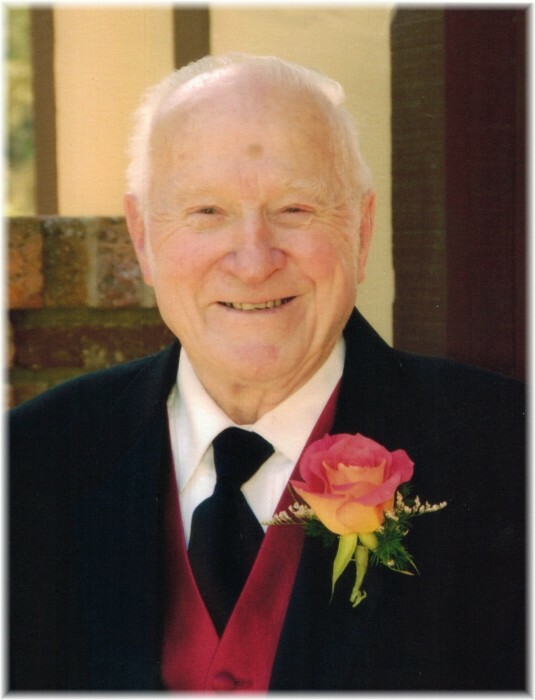 He enjoyed life to the fullest and enjoyed traveling, even into his 80’s, He stayed connected to his roots and continued throughout the years to visit his relatives in North Dakota. He enjoyed playing the slots and entering raffles at Northern Quest Casino, and he was lucky. One of his last great travels was a wonderful opportunity provided to many WWII veterans through the Honor Flight Program. In 2009 he visited WWII Memorials in Washington DC, It made him very proud that he had been given an opportunity to participate. Throughout his life his daughter Ann recalls she saw him cry, but his tears were almost always proud, happy tears. He was strong and honorable and truly American made! Grandpa will be greatly missed by all who knew and loved him. His service is scheduled for Friday, February 8th, 2:00 p.m. at the Holy Cross Cemetery Mausoleum, 7200 N. Wall St. A celebration of his life will follow at the former McGlade’s Bistro- 4301 E. Day Mt. Spokane Rd. Watching Gonzaga basketball, the Seattle Seahawks, and the Seattle Mariners gave grandpa great joy, so please consider wearing athletic clothing to his memorial in support of any of these teams. In lieu of flowers donations can be made to the Spokane Veterans Home, 222 E. 5th Ave, 99202 or St. Jude’s Children’s Hospital. To share memories or condolences visit his tribute wall.